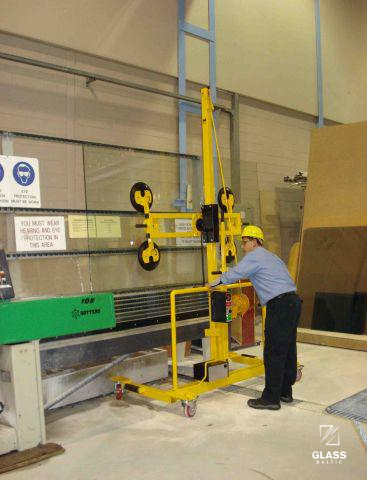 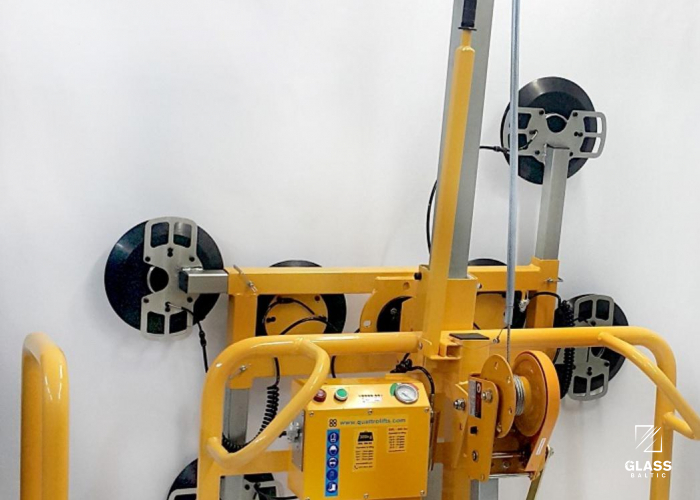 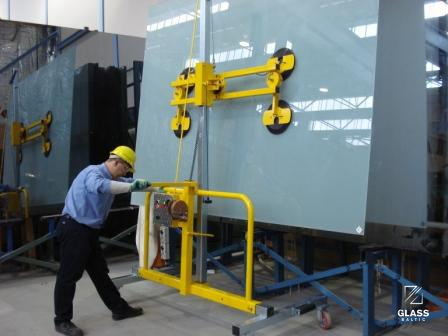 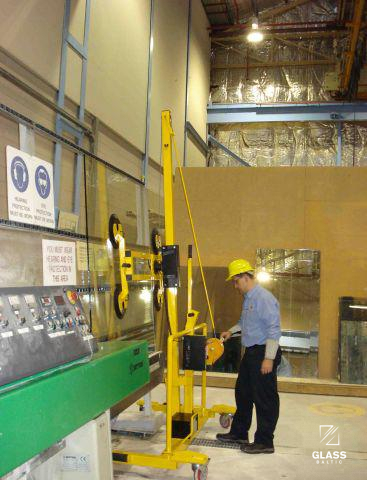 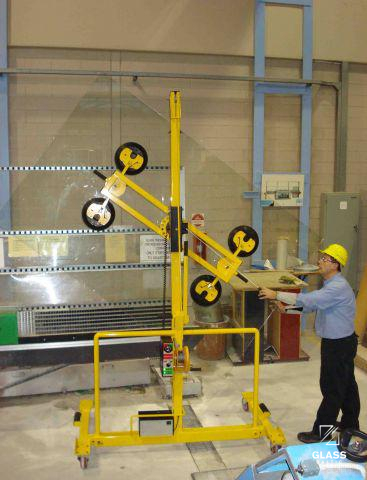 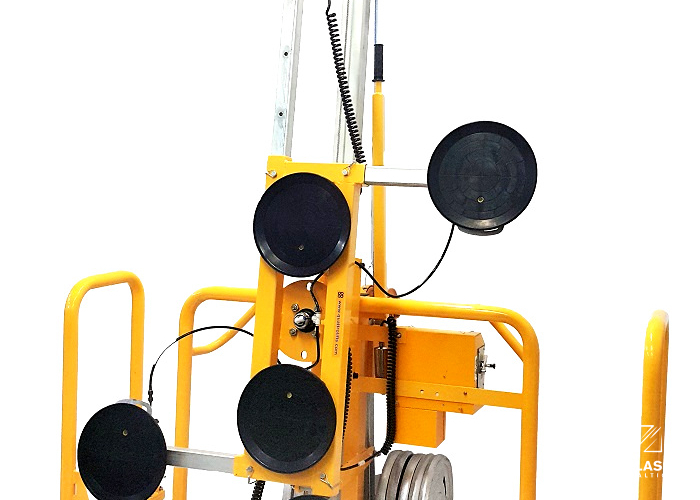 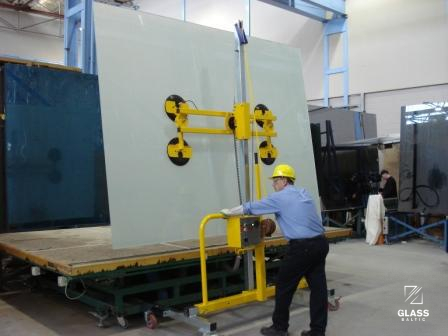 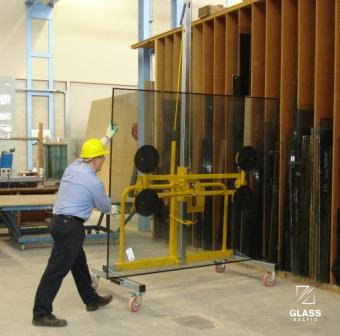 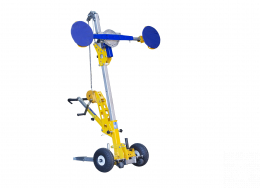 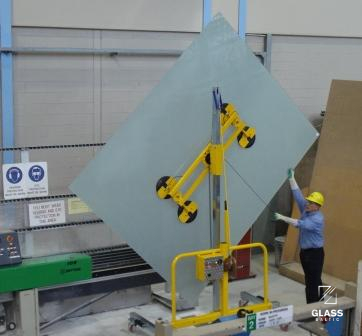 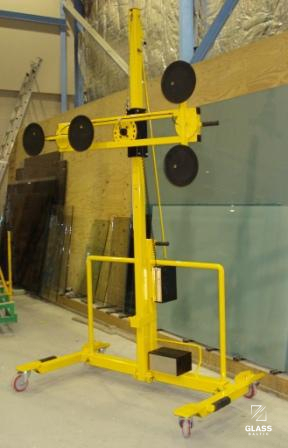 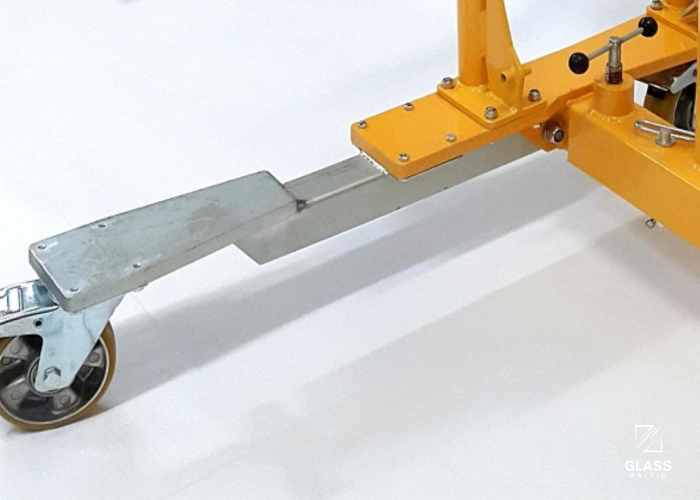 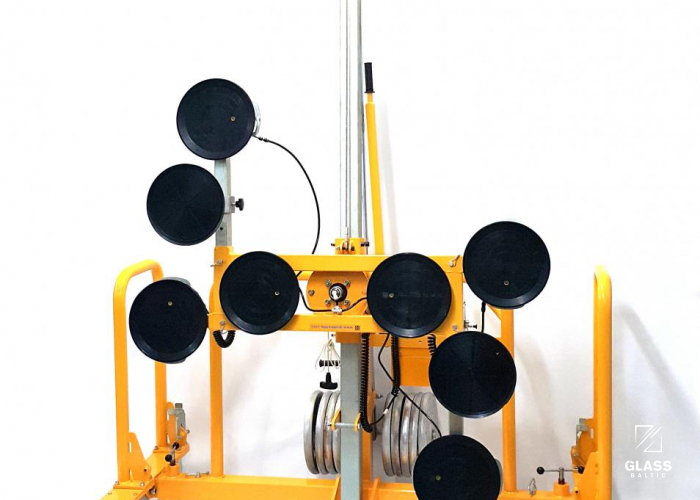 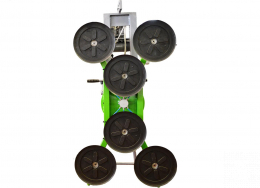 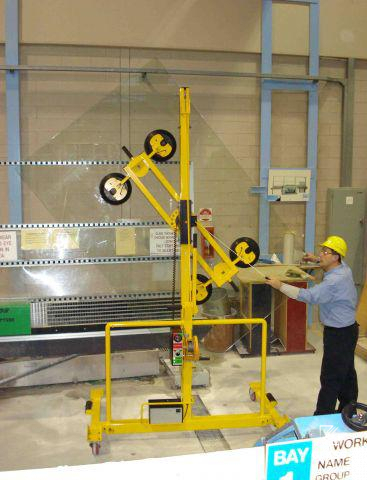 MULE 500 is designed to assist glass companies to handle heavy glass on and off edging machines, glass racks and trucks with greater safety and ease. 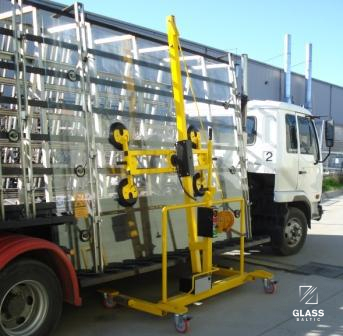 MULE 500 can be operated by one person, and its design allows the transport and rotation of glass panes to a length of 4400 mm. 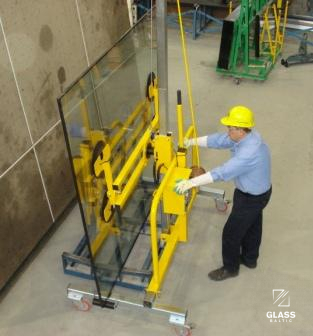 Adjustable swivel arm with mounted vacuum suction cups allows for safe rotation of glass panes of up to 360 °. 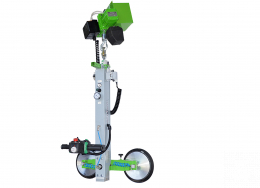 Device has a portable 12 volt battery powered vacuum pump to apply vacuum to six 280 mm vacuum cups. 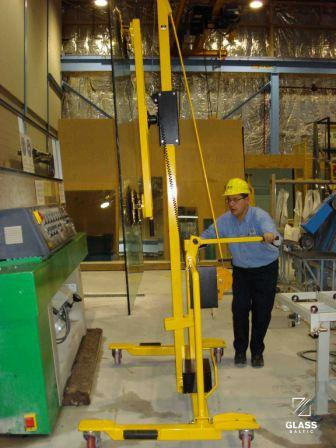 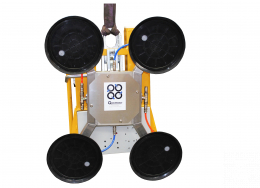 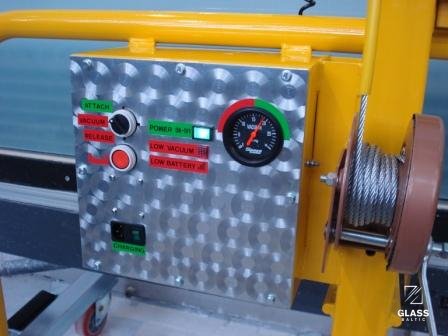 The vacuum pump arms can be swivelled to allow for long narrow plates to be handled safely. 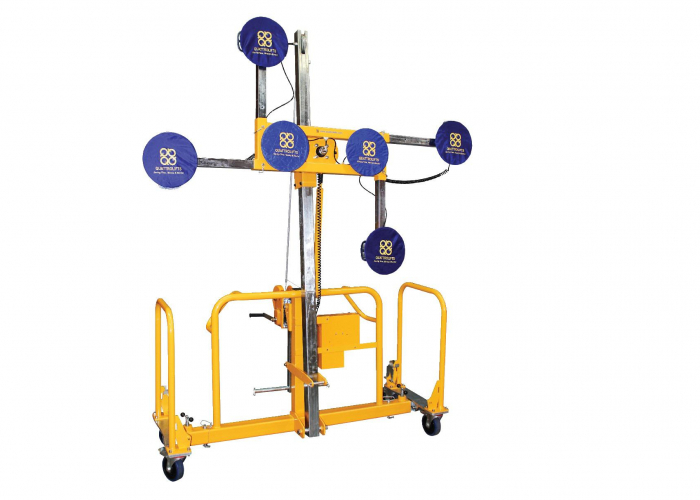 - safe loading, unloading and transport even in difficult terrain.